A great frefall ride. But i think Scream is much better. all 4 towers are fun. A very good thrill ride. both the blast off and the drop are unexpected and great! 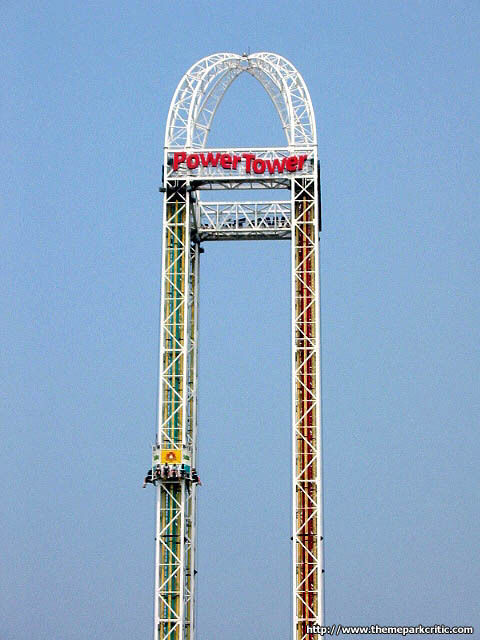 I can only compare the Power Towers with PKIs Drop Zone, but the Power Towers are much better. 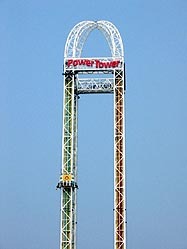 I have ridden both the Space Shot and Turbo Drop. I prefer the latter, but this is just my preference. Whether you are shot up or dropped down, the PTs have a wonderful bungy effect where you bounce a couple of times before coming to a rest. 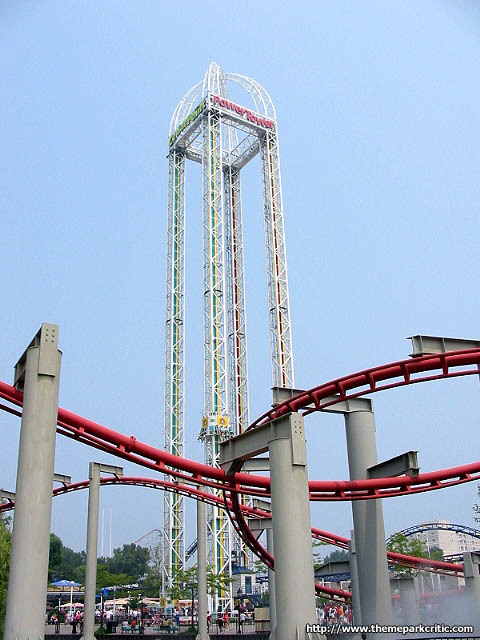 Although I enjoy roller coasters more, these are fun and excellent rides. Never been on the Space Shot but the Turbo Drop was awesome! I couldnt believe how high you got up there and then you just sat up there for a few seconds and just drop suddenly and it was just incredible. My favorite free-fall ride.